The Team meets every 4th Tuesday of the month at 1st Bank, 2644 S. Timberline Road at 4:00 p.m. You are welcome to visit with our with team. We are filled with passion for this issue and we also have experience and knowledge advocating for democracy. 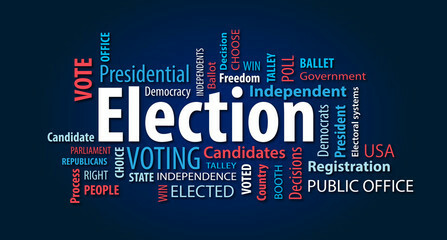 Check out our complete Election Resources Page for comprehensive Voter Information. In 2017, the LWVCO adopted specific goals to align with and to further the LWVUS adopted program. In 2018, in order to further the goals set by both the LWVUS and the LWVCO, LWVLC established a new issues based team called Election Reform - Making Democracy Work. In a comprehensive approach, while using League Positions, the Election Reform Team advocates for all three core issues below, working together toward the one common goal of making democracy work for all! Advocate for Colorado to pass legislation to join the National Popular Vote (NPV): an agreement among US states and the District of Columbia to award all their respective 270 electoral votes to the presidential candidate who wins the overall popular vote. Advocate for alternative voting methods to our current system of plurality voting and to require ranked voting that ensures the winner has majority support. Advocate for Proportional Representation that ensures parties gain seats in proportion to the number of votes cast for them. Advocate for Campaign Finance Reform that supports the public’s right to open and honest elections by providing full and timely disclosure of campaign contributions and expenditures; to curb special-interest soft and dark money; to support public funding of congressional elections for maximum citizen participation. Support the Anti-Corruption Act: legislation designed to limit the influence of money in American politics by overhauling lobbying, transparency, and campaign finance laws. Support the Fair Representation Act: a proposed federal statute to elect House Members by ranked choice voting in primary and general elections.